Arron – Have you tried setting Speed/Duplex with the bootChange command? It seems to work on switches, but not phones, at least not on 12.2. Yeah I have. It doesn’t really do anything. I have a suspicion that for the phones there’s a text file somewhere on the phone you have to edit to actually change anything related to the network settings. But you’re right it does work on switches. Can you Telnet in to all ShoreTel phones? I am getting an odd error. Yeah you can telnet into all the phones. 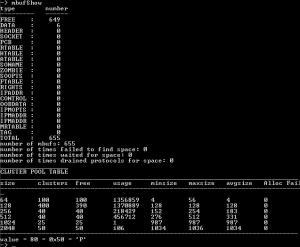 Have you enabled telnet from the server? 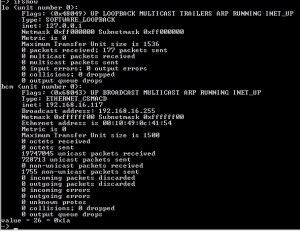 The trick is you have to turn telnet on the phone from the server, then telnet to it from your server. You can’t do it from a workstation or anything like that without copying a bunch of files over. Check out the link at the top of this article for how to do it. If you aren’t able to telnet into the phone following those instructions, you may have some other issues with your installation. bty, I was able to copy the phonectl.exe and ipbxctl.exe file to the root of my local c:\ and telnet from my pc with no problems! Beats having to log into the server everytime! Hey, I appreciate the information. I’ll add that to the one on how to telnet into the phone. I’ve been meaning to try that but never got around to it. This is a great resource. 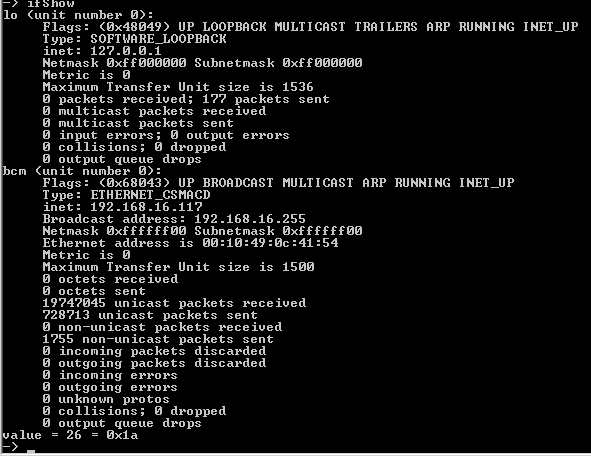 Is there by chance a traceroute function? Thanks! I am not sure if there’s a traceroute function or not. I’ll try in the next day or so and see if it exists. When I compiled this list I honestly can’t remember if I tried a trace function. I’m not an expert in anything VXWorks related so take this with a grain of salt. My best guess is that when you put VXWorks on an appliance or something you sort of choose what features go with it. My inexpert assumption is that some of the stuff on the ShoreTel phones/switches are either programs that came with VXWorks they found useful and left on there, found and placed on there for convenience, or developed and placed on there themselves. That being said, if there’s no such thing as a traceroute program for VXWorks, you could possibly do a traceroute from you router or switch. Most CISCO equipment will let you do a trace from a source IP to a destination IP. It’s not perfect but sometimes it’ll help you figure out the problem you’re having. Looking into that right now. That’s a good question. Ok, here’s what you can do. Use the “time” command. It will give you a decimal and a hexadecimal number. Use a Unix Timestamp converter to get the real time. Here’s a converter: http://www.epochconverter.com/epoch/unix-hex-timestamp.php I will add this info to the blog soon. Is there a way to see the actual time-zone time that is displayed on the phone? I can get GMT from the “time” command, but I only seem to get GMT back (which is correct). I believe I have my ntp server set to the correct time zone, but I’d like to verify. I’ll look into that, no idea at the moment. Hi…Is there a way to change the ftp server using phonectl. mine is showing 0.0.0.0 and it is remote so I just can’t walk up to it. Trying to keep the end user from having to do it. Perfect! That works great. Is there any way to set the NTP server on a phone remotely using phoneCtl? There’s a way to do this through the FTP server actually. You can do this for a single phone, a specific model of phone, or all of them everywhere. I’ve got a few remote phones I had to put on a different NTP server. You just make a text file and name it the mac address of the phone I believe. It should be in the article. 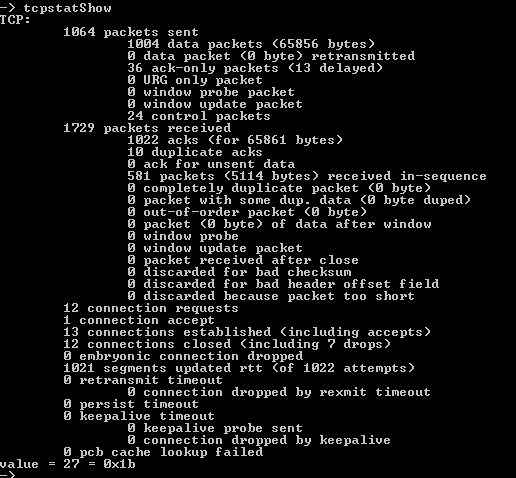 What does this file with NTP server IP look like? You are short on specifics and this looks helpful. Apparently I didn’t link to the article. Here’s my article on how to do this. http://workendtech.com/assigning-specific-sntp-server-shoretel-phones/ Basically it’s in the FTP directory of your ShoreTel server. You just have to edit a few text files there, you can assign an NTP server to a certain group of phones, or even a specific phone on your network. There’s also a lot of other things that can be set with these files. Thanks Aaron! I was afraid this posting was long forgotten. I appreciate the additional information! Merry Christmas! Yep, no problem. I do watch this blog and everything on it. I have quit putting update dates on everything quite as often though! Aaron, this is WONDERFUL info! I just have the problem of NOT having the phonectl.exe or ipbxctl.exe anywhere on my Shoreware server – this is the server hosting “Shoreware Director.” So, are we talking about the same server? Also, on your other blog, it shows a funky “cd something**Sh*” command that does not work on my server – if you would kindly give the full path of where that is supposed to be, that would be helpful. Nothing is wrong with my installation, but I would like to find those “exe” files. to be able to telnet into a couple of remote phones. Thanks for any info and for this amazing blog! I just updated the other post where it shows it. I am wondering about the phonectl thing. The full path is this: C:\Program Files\Shoreline Communications\ShoreWare Server . I am wondering if there are some partners out there that might have changed some directories up because it’s been the same on pretty well every server I’ve ever worked on. It COULD be that the full path could be this now though: C:\Program Files (x86)\Shoreline Communications\ShoreWare Server . Also ShoreTel might have removed these programs or something. And yes, this is the “Headquarters” server where your ShoreWare Director is on. The “cd \Pro*\Sho*\*ser*” trick is just a quicker way to get to the directory, WordPress eats the backslashes sometimes and I don’t always catch it. Also, this looks useful “prtleveltabs – Prints the volume levels of the various audio outputs on the phone;” but, what would be more useful would be a way to remotely set/adjust the volumes on phones – I have a few across the warehouse, when people go on vacation and leave the levels “maxxed out” and it’s a pain to hustle over and physically adjust them. Thoughts? Is it possible? Yeah it seems like you really can’t change much on the phones when you telnet into them, only a few of the commands really seem to work, and it’s highly model dependent. “spyStop” will stop the spy session. 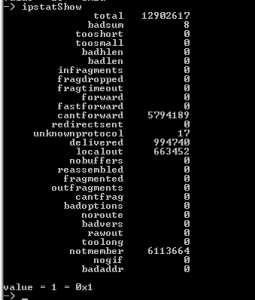 “root” is an interesting command; it spits out a lot of spec/config info. “top” does something – lists the top 1 process? 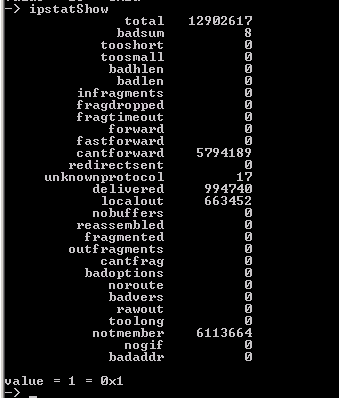 “exit” takes you back out of the telnet session. “shell” apparently starts or tries to start another shell session? “i” and “ti” give some good info. you can use “ping,” but you must put IP address in double-quotes. Strange, wonder if they’ve changed how the installs work. This isn’t a voicemail server right? No, it’s the real deal ShoreWare HQ server, as you were referring to it. The main deal,. from which all things in the universe flow (the central management server, basically – I think that’s how it’s looked upon). Could be they load those when needed, because I did see them using the “phonectl” at one point; because I remember tech-dude telnetting to a phone to check out some stuff. Yeah, I dunno, but you’re the second person today that’s had that problem. I did notice when I’ve played around with the LED’s on my phones that doing different things with this command does different things with different models. I was working with some older 230s and a 265. Thanks, yes, mine are 212k. Not sure if that’s old, new or in-between. Aaah, yeah that’d probably explain it. Those are pretty old phones, older than the ones I did the command dump with. What ShoreTel version are you running? We are running latest/greatest – 19.x.y.z.omega – along those lines, I just made up the xyzomega part. Yep, guess I’ll be finding an install somewhere and see if anything’s changed with it. Thanks! Also, your “print sys info” command is wrong – the “S” also is upper-cased: “printSysInfo” <– this is correct. 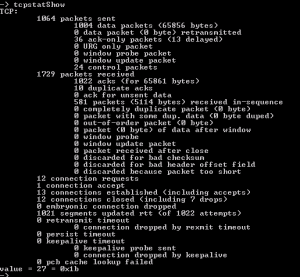 Cool that you can telnet and check out various things. Would be nice to be able to “set” more things (persistently). 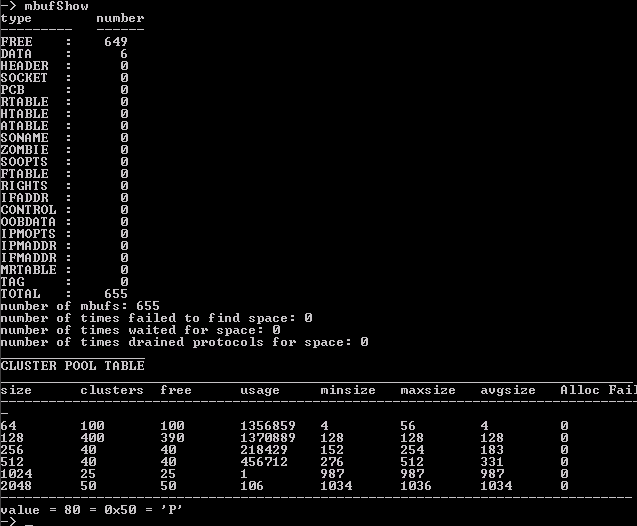 Like with my Samsung old-school Blu-ray player — it is Linux-based, but I’ve never figured how to telnet into it. Must be like the “telneton” feature of shoretel – you have to enable it for your specific session; then it disables itself after you are no longer connected. Also, it may use a non-standard port. I never tried putty though – maybe putty would work. And, I’m sure the command sets are slightly different for the different ip phone models. OH, I meant to mention “devs” – that command lists out all your ‘devices.’ Very cool, indeed! And, I’m guessing, since you can “cp” files in/out – that you could have a copy of the config file(s) and make mods, then copy them in, to replace the ones already there. Not sure if there’s any direct command-line editor that is included. Hello Aaron thank you for the wonderful article. I am able to log into the phone but anytime I try to run most of the command I get the error “undefined symbol: xxxxx” I am trying to run a basic printsysinfo when I get this error. Capitalization matters. Check the commands and see if it’s not ‘printSysInfo’ or something like that. Thank you Aaron that did it !! To mirror ports on the Shoretel 230 IP phone.you can use command: ethEnablePortMirror. I did not tested in on other phones. I hope it will help somebody.